Building something that solves a real problem is a good place to start. 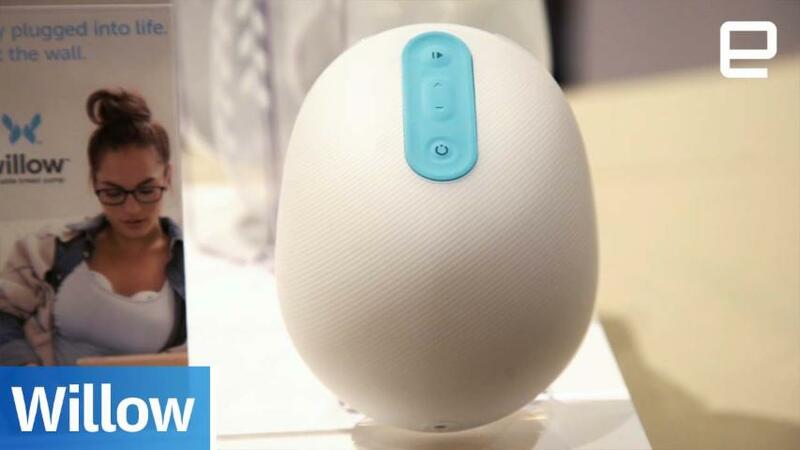 When we previewed CES 2017 last week, none of our editors saw the Willow smart breast pump coming. But the humble device, which slides into a nursing mother's bra and allows for hands-free pumping, won two of our Best of CES awards and generated press coverage across the internet. We were hardly the only outlet that declared the device one of the most innovative things we saw at the show. It's hard for a little-known company to make this kind of buzz at CES, where you have to compete against giants like Sony, Samsung, LG, Honda, Toyota and more of the world's biggest companies. But once and a while the stars align and a gadget from an unknown startup breaks through the clutter. What made Willow such a hit this year? We've seen devices like Willow become a phenomenon before. Hapifork dominated the CES 2013 conversation with the somewhat absurd premise of tracking how many bites you take, how long you chew and how long you eat. Unfortunately, using the Hapifork was a big letdown. Hapifork is far from the only oddball connected gadget that got a strange amount of attention: The creepy Mother connected home platform and ridiculous Belty smart belt are two more examples of bizarre gadgets that got more attention than they deserved, because that's what happens at CES. Willow was also likely helped by the fact that it's a smart, connected device. While the promise of the Internet of Things has largely gone unrealized thus far, our readers seem to have a fascination with the weirder connected devices that we cover -- particularly the devices that have no business being smart in the first place (like this toaster!). It's not surprising, then, that a smart breast pump garnered so much attention -- but the fact that it turned out to be actually useful made it more than just a punch line. There are a number of other reasons that Willow dominated the conversation this year. Crucially, the Willow attempts to solves a real problem in a way that other products don't. That's a rarity at CES. New mothers have to pump several times per day for months, and it sounds like the Willow can make that experience easier. For starters, the Willow can be worn under a normal nursing bra, which means frazzled moms can continue to get other things done (or just hold on to their newborn) while pumping. It can also track output for them, and the pump's bags can be stored right in the freezer and cut open when they need to fill a bottle. For various reasons, no one on team Engadget was able to actually try out the device, but our research showed that there's nothing quite like Willow on the market. Yes, other smart pumps exist, but based on our research, Willow appears to be the best option by far. If it delivers on its promises, it could make a tedious activity easier, and that's worth celebrating. However, it's not good enough for Willow to have just made a good product. Thousands of companies exhibit at CES every year, and surely they're not all selling iPhone cases, backpacks with e-ink screens and similar nonsense. But oftentimes, one of the big companies showing at CES delivers something that ends up being the buzz of the show, sucking much of the oxygen out of the room for the smaller companies with lesser marketing budgets. Every year, we cover all variety of unconventional devices from unknown creators, but no publication can see everything at CES. And when big announcements from huge companies (such as Sling TV in 2015 or Chevy's affordable and long-range Bolt EV in 2016) make headlines, it's harder for offbeat products to get the attention they might deserve. That wasn't the case this year. Yes, LG won our Best of CES award with its stunning OLED TV that's thinner than an iPhone. It's an amazing TV -- but it's still just a TV. We've seen them before, and next CES we'll see yet another stunner. That's one thing you can count on at CES like clockwork. But the number of new mothers who could benefit from the $429 Willow likely exceeds the number of people who could afford and are in the market for LG's flagship. That utility truly set Willow apart this year. One of the biggest downsides of CES is the deluge of gadgets that are not only bad but also inessential, unnecessary, with no real reason for existing. Lots of others have the potential to be great but are still just iterations on existing products already on the market. Willow, on the other hand, is using technology to solve a real problem, something that all too few gadgets at CES do. Here's hoping this year's unexpected darling of the big show in Vegas delivers on its promises.